In the evolution of Indian unity, there has been a quantum leap in 2015. 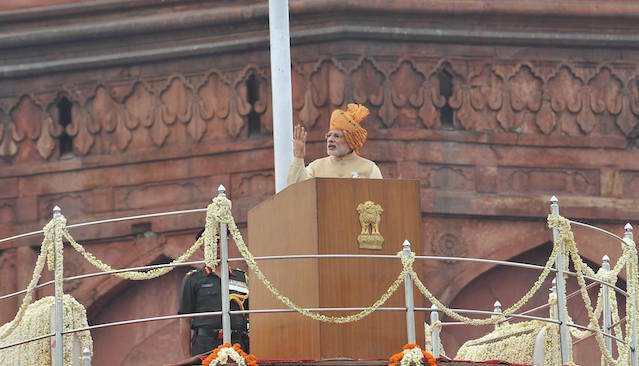 Through a strengthening of the states, Modi has set the pace for meaningful national integration. Not spending time playing on patriotic fervor, he has put his finger on the correct lever to move the economy and to touch on people’s materialistic aspirations. Investment of local financial resources further augmented by foreign inflows is the strategy. Such a mode was not unknown to his illustrious predecessors. Then, wherein lies the difference? Identifying the most sympathetic chord that resonates with the states, distinguishes his uniqueness. With a sense of pragmatism he seeks to add verve to it. In the last century and more the flow of thought and insights was that India’s downfall came through her political disintegration. This in turn it was perceived, derived from weakness at the centre at varying times in her history. The years preceding independence were plagued by unmanageable religious conflict. Partition of India heralding her independence was a traumatic experience. Princely fiefdoms, 563 in all tore at the seams of the Indian fabric. The iron hand of Vallabhai Patel was needed to keep India together. Nehru had the intellectuality to know it all. Historians and men of learning provided the academic back up to political leaders. The result was a single India. The casualty was a unified India. Excessive obsession with unity struck at the very roots of unification. The problems that India faced in embarking on the modern were Himalayan. Even a century was inadequate. Seven decades are now very nearly past and yet India has miles to go even to touch the very periphery of parity with developed nations. Nehru’s strategy of linguistic states was a great achievement that consolidated major ethnic groups into a composite entity. The policy implemented in 1956, abated tensions that were growing and spoiling unity even within states. Intra-state economic disparities however fueled stress and promoted separatism, though within the ambit of the state and of the Indian Union. In consequence the number of 14 states in 1956 escalated to 29 by 2014. Bombay state was among the first of the major states to be bifurcated into Maharashtra and Gujerat in May 1960. With discontent out of the way, both states have prospered. The timely splitting has bonded India better. These two federal units have never clamoured for separation from India; nor will they. The last state to be split up was Andhra Pradesh in June 2014. The two new states of Seemandhra and Telengana are now set for accelerated development. Telengana has inherited Hydrabad as its capital. Andhra is planning out a greenfield capital named Amravati with Chandrababu Naidu, the Chief Minister giving the lead. His thinking is large while being futuristic and modern. A proactive Modi has pledged a huge sum in 2015 itself as central contribution to developing the new capital. A cordial political engagement in centre-state relationship has brought this about. It’s a well-known axiom that no two federal constitutions are alike and no two federal states are similar. In the fifties Dr. Colvin R de Silva dinned this in and solicited from the Federal Party its own conception of federalism in Ceylon. He also invited an outline of the Federal constitution envisaged by the party. It is further said that federalism is a matter of degree. The range is from confederal to near central. In between are; federal and quasi-federal. Where does India stand in theory and practice? How do features differ from 1950 – the year of the Republican constitution – to 2015, Ie an year after new thought processes came into action? From what I have studied for 60 years in English coupled to reading in Tamil publications from Tamil Nadu, I hold the writer’s summation as absolutely correct. Another great writer from West Bengal, an intellectual holding a Ph.D, drew a very discerning conclusion from his studies. He made bold to say in his book that the objective of a united India will be defeated by the very strategy of the centre throttling the states. While agreeing fully may I add, one cannot be more correct. I have observed for far too long the high visibility paralytic spell that the centre had cast upon the states. Financial restraints and administrative controls from Delhi have simply suffocated the states, killing initiative and thwarting innovative spirit. Adding insult to injury, states are hamstrung and then are blamed for under performance. With three terms as a dynamic Chief Minister of a leading state Gujerat, Modi knew exactly where and how the central shoe pinched the states from Delhi. In less than a year in central governance, he had developed enough confidence to smash the shackles. He also built up the verve for the unconventional mode. In this endeavor he is staunchly assisted by Finance Minister Arun Jaitley, courageously advised by economists and boldly buttressed by top officials. Fiscal Year 2015 April to 2016 March is the first year of operation for this liberalized environment. Ostensibly to give credence to a change of such magnitude as flowing from a technocratic operation, it is highlighted that the 14th Finance Commission made this recommendation for substantial financial devolution. One may observe that a great reform measure had either bypassed 13 Finance Commissions or had gone by default with all previous governments. It had failed to fructify even with greats like Nehru, Indira Gandhi, Vajpayee and Manmohan Singh. Modi called this shattering change, “Unprecedented and historic”. He calls this new regime of centre – state relations, “Cooperative Federalism”. Reason behind the euphoria is rationally explained by facts and figures. Beginning 1st April 2015, increased allocation to States will be 42% from the ‘Divisible Pool of Central Taxes’. In contrast to 32% in the previous fiscal, it is a quantum leap by 10%. In implementing this decision, the Ministry of Finance is obliged to give to the states Ind.Rs. 5.239 trillion in fiscal 2015 – 2016. The share retained by the central government is Ind. Rs. 9.198 trillion. With a single stroke, the stunning shift of momentum to states is now a reality. The revitalization of states is only moments away. To make financial devolution work, the centre’s vise-like hold on the states’ jugular has been done away with substantially. This too without any demur. The states will now receive the grants as untied funds. Henceforth states will have full freedom to invest on projects deemed best by them and through strategies of their own formulation. This is a radical departure from the practice of tying more than 50% of funds to centrally determined projects and priorities. The most lamentable resultant of these controls was under performance in states flowing direct from the central grip. A case study on controls revealed thus: For 6 full financial years, only 69% of allocation was spent by a major ministry. Delhi’s stifling hand is now taken off the neck of the states. To make sense, financial devolution should be real and substantial. More so for capital expenditure. What is the current picture? For Sri Lanka, tax revenue, non-tax revenue and grants add up to Rs. 1.629 trillion. Provincial Council revenue totals Rs. 60 billion, 3.68% of national. A mere trifle. Allocation for capital expenditure is miniscule. Provincial Councils do nothing. The Central government has merely changed the locations for accounting, little besides and trumpets it’s so called decentralization. If the Provinces do not come into their own, Western Province will have a flashing Megapolis served and serviced by an impoverished countryside of 8 provinces. UN, War Crimes, Self-Determination and Opposition Triumph apart, is the imminent need for financial devolution. In this alone, post April 2015 India is a worthwhile model. Not without reason have Maithripala, Ranil and Chandrika made Delhi their first port of call. 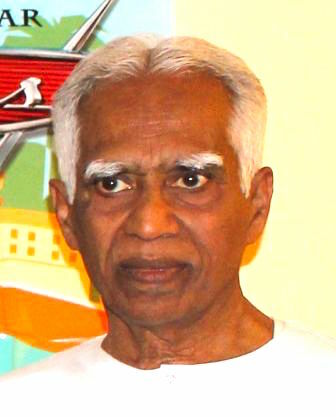 TNA has a grave responsibility by the Tamils at this hour to solicit intercession. You are a silly man. The question to ask is; Even if Self Determination or what ever it is that the Tamils want, is given to these perpetually griping Tamil politicians, are they capable of running the Tamil areas? We all saw how Velu ran the Tamil areas for 30 years!!!!! And we have had the misfortune to see how Vigi has been running (or not running)Tamil areas since Sept. 2013. He is completely useless. Did not even spend the generous $50 million budget allocated by the Central govt. That’s how useless he is. (Vigi has the cheek to ask for Self Determination, whilst living in plush Colombo 7!!!) These selfish and self serving, Tamil politicians are a curse on the country and the long suffering poor Tamil people. Aside: Did you know its Colombo (both SLFP and UNP govts.) that paid for the hospitals and schools even when Velu was in charge? Well you can take comfort that when you guys mess it all up again, the Chivalrous Sinhalese will come to save the Tamil people (whom we like) from the Tamil politicians. These geriatrics like Vigi, Sampanthan should be pensioned off. They are a curse on the Tamils. Always asking for things that can’t be delivered and then cry foul!! That’s their modus operandi. Are you partying with Robert R.? Aside: Indian collies were paying for the 10 billions dollars IC suspects the Old Royal Family transferred out of the country too. Your courage is you think when cabinet beat the century, all corruption charges will become dormant automatically. Then you can go back on your looting again Isn’t it? By “Indian Coolie” are you referring to the Tea estate Tamils of Indian Origin? If you are please don’t refer to them as such, its dis-respectful. Refer to them as “Tea estate Tamils/TeT” or “Up Country Tamils” bit like “Up Country Sinhalese”. Sinhala Buddhist people have a lot of respect for them , unlike Northern Tamils (Vellalas)who always look down on them and turn their noses up at them because the are low caste. Yes, I agree TeTs have contributed a lot to the Sri Lankan economy (and to Englishman’s pocket)and never got much in return. Please also don’t repeat big lies by Mangala, (bull in China shop Foreign Minister), about MR stealing US $18 billion. Its simply not possible steal that much. Infrastructure projects cost only about $5 billion. (about $3billion invested in Jaffna, on roads, hospitals, & schools) Do your sums please. I hope you can add! Its not your problem, leave it to them, let them sink or swim. Have you forgotten how the country has been run down by you over the past 68 years? By definition are selfish and self serving. Could you tell me how much CVW or other Tamil Politicians have swindled state funds? Also let us know comparable total sum that the others have swindled over the past 68 years. So are the Sinhala/Buddhist politicians. Let the Tamils worry about the long suffering poor Tamil people, you worry and plan about your next swindle. Didn’ the Hindians pay the state? Had you let the Tamils go it would not have been your problem. It would have been a problem for the Tamils and Hindians to deal with. Of course the Sinhala/Buddhists did that in 1915, 1956, 1958, 1977, 1983, over 30 years and went to Jaffna to burn down the old books they thought no use to the Tamils. A very enlightening article that should serve as an eye opener to the planners of the new constitution for Sri Lanka. India and Sri Lanka are different. India is a huge country with a massive population and problems of gargantuan proportion. Sri Lanka is a small country with a small population and problems so minisculte compared to India. However politicians of both countries have made a meal when it comes to running the countries efficiently. To say corruption is rampant in both countries is an understatement.Sri Lankas gargantuan Cabinet of the so called Yahapalanaya will rip into the treasury with unabated certainty – mark my words. You are waxing lyrical about Modi’s achievements. Allocating more money to the states will only contribute more to the gravy train with all kinds of nefarious state politicians dipping their snouts into. Modi cannot ensure that the states will not be managed by types similar to our own MARA. Rest assured the state politicians will build useless projects, they will create monuments for their own glory and I assure you the waters of the Ganges will carry the untreated effluent of hundreds of millions of people who live in cities bursting at its seams while in the same river people will bathe, drink, float dead babies and cows and keep singing hare krishna hare rama till time immemorial to come. India will be India no matter how many smooth talking Modis it will breed. So very well said about the Indian side of things! Ramona hates Tamils, Hinduism and India. She would make the Bodu Bala Sena blush. It is because of people like her that Sri Lanka is a messed up country. Oh no! I Love Tamils, Hinduism and India. It’s the Caste-System I do not like. The Sinhalese Buddhist have caste. Radala,Govigama, Karava, Salagama, Durava,Wahumpura and what not.The Sangha is divided by caste.To quote your beloved hero, Mahinda, those with glass walls should not throw stones! creating limited demand for certain crafts of the Rodiyas. population dynamics, social mobility, globalisation and assimilation to the mainstream culture. So they were not decreed to be a low caste 5,000 years ago, but probably within the last 100-400 years. Because of grim effects of colonization, some Sinhalese who were driven off their lands, were relegated to low caste. This is because Sinhala society became so debased after colonization, and they did not know how to handle their poor people. Also the Kandyan kingdom brought down their Hindu caste system. And there is a story of canibbalism about them too….so naturally Sinhala Buddhist society did not know what to do with them and had to relegate them in an effort to stop the obsessive compulsion (short of killing them). Anyway, they are a small group of less that 0.1% Sinhalese, and are certainly not like the over 90% low caste masses of India. Every time I read, stupid of me I know, your posts, my feeling of you that you are deluded and confused is being reinforced! Isn’t it better you say nothing than reveal your ignorance and stupidity? You must substantiate yourself, otherwise your words to this effect are moot! Burning issue. I think you have soft spot for Ramon Therese. That’s why you keep reading her comments, even though you say they are nonsense. Love is blind you see. You have an interesting observation indeed incumbent on you I suppose. Let me tell you, when I first encountered Ramona, I was indignant as to her chauvinistic undertone and writing incoherent nonsense. Then it slowly dawned on me that she is not all up there! My acute rationality doesn’t sit too well with you, does it. The Rodiyas were outcastes from the Kandyan Kingdom royals. Worth pointing out that Dutugamunu’s son Prince Saliya married the out-caste Asokamala some 2200 years ago! Gave up his throne for her and love. The famous Isurumuniya Lovers are said to depict their love union. Here is the lovely song by Chitra Somapala. Hope everyone enjoys. The caste issue among Sinhalese is much more entrenched than the treatment of Rodiyas. Niti Niganduwa defines various castes. Thanks. I am aware how entrenched the caste system is entrenched among the Sinhalese. The government is authorizing the procedures to exclude the ‘Gey’ names which help identify caste and origins. The caste issue is largely a class issue-between haves and have nots- now. The real Vellahlas are a minority now and even among them it is the poor and less schooled segments that predominate. The caste issues being highlighted in CT by many commentators, are an attempt to flog a dead or dying horse. Caste system amongst Sinhalese is like what Hinduism originally preached about 5,000 years ago, about division of labour. It is similar to what all other non-castist countries naturally follow, like European society. If it became corrupted, it is because of Tamil Hindu influence. Ltte terrorism diminished the real Vellahlas who currently reside in Sri Lanka. Most of them were privileged to move to the West. Disintegration of such society has probably unified most of the Jaffna Tamil castes at this point in time. This is my response to your comment addressed to me. Sudras- who serve the above and provide services to them. We find these varnas amongst us and is all castes even today. What happened over the millennia was that the system became ossified and people were classified by the trade they practice. Specialization and traditional method of transferring knowledge and skills from parents to children, led to this aberration. Castes were specialized trade gulids of sort, but those providing certain services were considered of low caste. Pleasee read more on a subject that you j\know little, before you write. It is not difficult to find knowledge through Google, provided you know how to evaluate its value. Our comments relate very directly to the theme of the article, which is: “Modi’s Master Stroke for India’s Unification – A Lesson For Sri Lanka.” For Modi’s Hindu theme can have no relation or connotation for egalitarian Buddhist-cultured Sri Lanka. Certainly did cultures that emerged from other religions, not necessarily part of the fundamental tenet of the religions. But in Hinduism’s case, a fundamental tenet from the very start was one of division of people. I read up about Vellalar caste system in Sri Lanka, and it confirmed quite a bit. Vellalars came down from South India in the 13th century and forced slaves (or lower castes, which they probably created) to work on their fields. Vellhalars were the land owners, but didn’t do much work in the field. Vellalars, being rich land-owners on the backs of low-caste slaves, then had plenty of time to sit around and study and expand their brains. Didn’t they then go all over Sri Lanka, and force 88% of Lankan society to accommodate their out-of-context intellect, hence creating racial tensions and eventual terrorism? You say that toddy-tapping and tree climbing were relegated to low castes, and the low caste youth shun this kind of work nowadays and are unemployed. Why can’t Vellalars’ then also work alongside with, and encourage these low-caste youth to secure the industry? After all Jaffna Tamils continually say that the Gosl is not creating work for the Northern people. Isn’t it, that after the 30-year old war, these low-caste youth, have lost their regard and respect for the Jaffna caste-system, and hence nothing can be done in terms of employment, as the Vellalars won’t demean themselves either to work with the low-castes? What a sad and sorry situation and what a burden on the rest of the 88% Sri Lanka. The choices are to let the Indian caste system come in yet again and whip up the low castes to work for you yet again, or to become egalitarian like Buddhist Sri Lanka, with interaction and assimilation within your society, and also with the egalitarian Sinhalese who have settled there. In Sinhala Sri Lanka, however, many traditional farming persons, when they were driven off their lands by the colonists, took up the fishing and other coastal trades like shop-keeping. Coconut-tree climbers, who lost their small holdings to British Coconut estates, were rehabilitated in market gardens of the hill country. In recent times, many coastal fishing people who lost their livelihood to the tsunami, were resettled in inland small-holding farms. If the rigid caste system today in Jaffna is an anachronism today, it is because LTTE terrorism in the north unified castes to an extent for the sake of Eelam. The 30 year war then gave some evolution to Jaffna culture. Therefore, the last thing we need is India’s caste system (which thrives very rigidly there), coming into small and fragile egalitarian Sri Lanka and distorting Buddhist values, and also Hindu values that have thankfully gone through some evolution since the 30-year old war. But the culture that came about from that Hindu pronouncement is of the caste-system. And unlike the anomalies of other religions (e.g. the inquisition of the Christians religion, and suppression of women by the Islamists that forward thinking persons can eradicate with pure logical analysis), this one is extremely ingrained in the psyche and genes of Indians. Other religions did not establish such a divisive philosophy from the very start. It is self-evident that humans have those capabilities. Other religions strive to do away with such divisions of human capability, and involve all in Love, Compassion, and Sharing. Those traits did not come from thin air. According to evolutionary science (that I believe Hindus believe in), natural circumstance created those traits in people. For example, less vigorous people had more time to think, and produce intellects. More robust people were able to do the hard labour that is necessary to sustain clean and healthy environments. Divine writs that divide people into such groupings from the very start, merely perpetuated these groupings , and gave no leeway for advanced human interaction compared to the Sinhala Buddhists who created a greater egalitarian bonding between all. Hence, one will find a Hindu Brahmin having an IQ of 180, and hordes of untouchables having IQ’s of less than 60. In Christian European society which was more assimilative and integrative, everybody has an IQ of around 100. Europeans countries are more sophisticated and refined. Look at a poor country like Buddhist Burma, and compared it to India. One would never find slums and cesspools of India, in Burma. Although the theme of the artcle which precedes our comments does not relate, I am compelled to reply you. 1. What the Hindus practice, need not neccesarily be what Hindism teaches. This applies to all religions,including Buddhism. Middleton Murray in his book on the Catholic Church says, ” There was only one Christian and he died on the cross”. I call most Hindus today ritualists(‘Pandaris’ in Tamil)! 2. Trades/vocations/professions developed into castes with the passage of millennia. Vellalas are agriculturists by caste but are Sudras by the Varna classification. Please note that in Jaffna the Vellalas are the top caste and not the Brahmins, as in India. Except for the Brahmins, every caste in Jaffna is composed of Sudras. I aupect that most Brahmins in Jaffna are not of Brahmin caste origins! 3. The IQ, is related to the strata of society, a person or group belong. It is definitely not an accurate measure of intelligence. The Brahmins learn and memorize a mass of Sanskrit slogas from their childhood and are exposed to much culture. This expands their minds and permits them to use a greater capacity of their brains. They are taught to also think and contemplate. This process has gone on for millennia and has made them a high IQ people.It has genetic connotations and is a manifestation of the interaction of the brain and the environment. 4. The rigid caste system is an anachronism today, because it has no social relevance. Hence it is dying. I am a Vellalah by caste but do not farm, though trained in agricuture-related subjects. The majority of the vellalas are not working in the agricucultural field. What right have we to feel superior to others, who are also not prcticing their caste-related trade. The only factor that unites a majority of us is thqat we are all Sudras! The association of toddy tapping and tree climbing with are so-called low caste, has compelled the youngsters from that caste to shun that work, though they are unemployed. The result, the Plamyra industry in Jaffna will disappear in the coming decade! The caste issue in Jaffna is now more related to the economic strata (class) one belongs to. The so-called members of the low castes, who are well schooled and are materially well off, are becoming the new vellalas! Everyone aspires to be a Velala now and this will happen soon enough! As I have said earlier, do not flog a dead or dying horse. Pay attention, to the problems of the Tamils, within the overall context of the problems confronting all the people in Sri Lanka. Our comments relate very directly to the theme of the article, which is “Modi’s Master Stroke for India’s Unification – A Lesson For Sri Lanka.” For Modi’s Hindu theme can have no relation or connotation for egalitarian Buddhist-cultured Sri Lanka. Certainly were cultures that emerged from other religions, not necessarily part of the fundamental tenet of the religions. But in Hinduism’s case, a fundamental tenet from the very start was one of division of people. Vellalars, being rich land-owners on the backs of low-caste slaves, then had plenty of time to sit around and study and expand their brains. Didn’t they then go all over Sri Lanka, and force 88% of Lankan society to accommodate their out-of-context intellect, and hence created racial tensions and eventual terrorism? You say that toddy-tapping and tree climbing were relegated to low castes, and the low caste youth shun this kind of work nowadays and are unemployed. Why can’t Vellalars’ then also work alongside with, and encourage these low-caste youth to secure the industry? After all Jaffna Tamils continually say that the Gosl is not creating work for the Jaffna people. ps. I am reposting this again, because I posted it in wrong order the last time. Why did you pick the Wikipedia to find a reference on a subject like this? There is a lot of crap that enters the Wikipediabecause of themanner in which it is compiled. In many instances it has become amuch abused innovation. Read other more relevant and more factual references that are found in plenty on the Google. This very legitimate and factual article that I goggled, is very similar to what Wikipedia says. Also, Wikipedia compiles all articles out there, and takes the most objective and valid interpretation. Another article is about Sanskritisation, which is the process of cultural and social mobility within the framework of caste. In Sanskritisation, Hindu caste is yet held supreme, though some lower-castes might be given entry-hood into an exclusive caste structure if they can prove themselves. Other religions and their cultural connotations do not give one class of people superiority over others, even if humanly created. I doubt the Hindu culture will ever reach the same apex of human realism as other religions, which view humanism and egalitarianism as axioms. Why is it that it is always the Sinhala Buddhist Chauvinists who ostensibly empathise with the lower caste Tamils? Are they, including you, really interested in empowering such people or insidiously divide the Tamils so they can be easily controlled? Caste system is totally abhorrent and inhumaine; this affliction is prevalent among the Sinhala too. The best way to deal with it is to legislate against it and prosecute the culprits and at the same time educate the peoples about the absurdity of the caste system. Do they? I thought everybody truly empathizes with the lower caste Tamils. Everybody just wants to see everyone treated humanely. People without the caste-system orientation usually feel uncomfortable to see a fellow human being going around like a crow. We never see Sinhalese people looking like that, only certain Tamil people, while the rest of them are decked up in gold. So the Tamils start mocking and jeering that Sinhala high castes are poor, and then create caste resentment among the Sinhalese. Sri Lanka doesn’t need to legislate much about caste system. Lankan Tamils will learn from the fellow Sinhalese. But it is an imperative for Indians to do so, although the success rate will be minimal. I used the word “ostensibly” in association with the Sinhala Buddhist Chauvinists, which you are one after converting from Catholicism! With gibberish in response to rubbish in unending regularity, haven’t you both yet realised the supreme irrelevance of what pass for comments? How is caste related to financial devolution and administrative decontrol? ramona t went off at a tangent and Burning I is in hot pursuit. The readers are neither enlightened nor entertained. They are annoyed to the very limit. Beats me Barathan. BI started it and is now going round in circles. If we devolve money and control to the N&E , they will naturally, and very soon, liaison with India, as they would prefer the operation structure of the caste system as per their Indian brethren, over egalitarian Lankan Buddhism. They consider Tamil Nadu as their Motherland. ……”the waters of the Ganges will carry the untreated effluent of hundreds of millions of people who live in cities bursting at its seams while in the same river people will bathe, drink, float dead babies and cows and keep singing hare krishna hare rama till tithe waters of the Ganges will carry the untreated effluent of hundreds of millions of people who live in cities bursting at its seams while in the same river people will bathe, drink, float dead babies and cows and keep singing hare krishna hare rama till time immemorial to come.me immemorial to come” BBS Rep.
From ridiculous to the ludicrous. No more bandying words. Why? That’s what Sambanthan and LTTE-TNA want, isn’t it. Financial devolution and administrative control means their right to set up their own financial and admin. structure replete with Northern megalopolis center that will naturally liaison with Tamil Nadu megalopolis centers, and nuclear facilities. What a severe imbalance that will be on the remaining 88% of Sri Lanka. On top of that, 88% will become so financially disadvantaged, that Hindu caste system will naturally effuse over placid Buddhists. Good question. I think it is necessary for those who make comments not to deviate from the subject matter of the article. We were never deviating, though it seemed like it. We are trying to come to the crux of the matter of why Modi’s Master Stroke For India’s Unification is no lesson for Sri Lanka at all. Ah!…that is pure accusation that does nothing for the argument on the caste issue. The size of a country does not matter for devolution of powers. It is true that Sri Lanka is much smaller than India but not as small as fully developed Singapore or Hong Kong. It is roughly the size of Switzerland which is administered through its cantons which administration has helped harmony and development to grow hand in hand in that country. Well, the Uva is the poorest province. Western province is the richest. There is a large disparity between the two. Uneven development does demand financial de-centralisation. I think the Provinces must be forced to compete with each other in attracting business & investment, academics and sports. They need to be given the required autonomy to perform in these areas. At present there is no incentive for the politicians to live in the province and deliver the services they promise to get elected. Most of them live in Colombo. There should be a Provincial League Table where the performance are measured in each area at the end of the year. At the end of a financial year we will know the positions in the provincial ladder, which province increased its GDP per capita, the social indicators and how it measured in Cricket, Soccer and Triathlons. The Provincial League Table will shine a bright light on politicians who genuinely perform and vise-versa. When you are not consumed by the demons within you, you are more than capable of making meaningful contributions! It is astonishing that intelligent people like fall pray for bigotry! It’s correct that more money must be given to provinces. Too flashing a megapolis will be so out of synch with the rest of the country. However money mustn’t be used to “polis” the rural hinterland, but to enhance their heritagal vigour. Therefore we will hope that Jaffna province will retain much of her traditional heritagal charm. Let a small country like Sri Lanka have only One main and major megapolis! As per the different grades of Federalism, let all the provinces be of that conceptualization. But to divide by Federalism, the North and South, now that will be too strong a pull on each other, unlike India’s 29 states that balance each other out with a much slackened seperatist pull. No. Federalism is the antidote to separatism in any country big or small, with few or more divisions. Federalism will be a catalyst rather than an antidote. It will be a catalyst for separatism and a final unity of the minority with the gigantic mother-state. It will be calamity for majoritied Sinhalese Island. Can you quote a single country in the world where federalism led to separation? What do you think is happening in the Ukraine? What about the former Yugoslavia? Yugoslavia was an artificially created country. There was no Yugoslavia before 1918. Please read its history. The split of that country was a natural consequence. Sri Lanka on the other hand is in existence for over 2000 years! It will never break up like Yugoslavia. Ukraine faces the danger of a split because of global power politics. Sri Lanka will never face such a danger if she remains a truly non aligned country. Had Sri Lanka got more and more into China’s orbit as it did happen during Mahinda’s regime, the risk of facing a split would have been there. Now that a course correction has been made, there is no longer such a threat! The opposite of what you say is true. Country was well consolidated with Rajapaksa. He would have been clever enough to kow-tow to both China and the West to avoid interference. Of course there would have been a chance of him moving towards China too much, but the West is not really interested a small country like ours, and would have overlooked with continual warnings. Rajapaksa is too astute to have stoked up too much animosity. But now we are aligned to the West and to India. And both are encouraging Federalism to make it simple on their handling of the South Asian consolidation goal. Global power politics are undermining the Russian federation. Remaining non-aligned in this day and age of modern contrivance will not work of course. It will be the best way, but nowadays, countries are forced into alliance so the reserve currency can be sustained. Let the readers judge whether what you say is true or what I say is true. With that comment I wind up. Why, have you come to the end of your argumentative capabilities? Well, nobody has said anything yet, other than a few who might come out with the occasional curses and threats in the absence of good substantive argument. If there is a good set of logical analysis, then we must hear it. Whether India is a federal state or not was clearly settled at the time the Indian Constitution was drafted. What is being written about it now is only of academic interest. The following extract is from the Sarkaria Report.
. At the time of Independence, there was a strong case for a more ‘federal’ constitution in India. However, the founding fathers of the Indian Constitution took an unequivocal stand that the Union is not a Federation and ensured the predominance of the Centre over the States of the Union. In introducing the Draft Constitution to the Constituent Assembly, the Chairman of the Drafting Committee, Dr. Ambedkar explained that, “Though India was to be a federation, the federation was not a result of an agreement, and no State has the right to secede from it. Though the country and the people are divided into different States for the convenience of administration, the country is one integral whole, its people a single people living under a single imperium derived from a single source” (page 8, section 1.3.05). With regard to the Indian Union, the Sarkaria Commission points out, that “ although the States are specified in the Fifth Schedule of the Constitution, Articles 2,3 and 4 enable the parliament to admit a new State, diminish the area of any State or alter the boundaries or the name of any State. A special aspect of the Union is that the Union is indestructible, but not so the States: their identity can be altered or even obliterated” (page 8, section 1.3.05). Such amendments can be done with a simple majority vote of Parliament (page 86, section 2.41.03). A very good essay. Unfortunately, what you have discuused is very far ahead of what is possible in Sri Lanka. India arrived where it is today due to the lingering influence of Mahatma Gandhi, a very mature constitution, a proactive Supreme Court, yet an independent public service, a frede press, a reading public and leaders of very high calbre. Even with these assets, it has taken very long to reach where it is in terms of sharing power with the periphery. I happen to think the beginning in Sri Lanka is yet tentative. The 13th which came into force in 1987, is yet in its malnourished and dwarfed infancy. The men manning the NPC, have proved they are incapable of aking it run even at the minimum that is possible.If they continue in office the infant may be totally deformed. The Chunnakam water pollution issue is an example. The 13th amendment should be implemented in full as originally envisaged. The government at the centre should reverse some of the actions it has taken mis-using the concurrent list and the powers of the Governor. The 13th amendment should be amended to expand the council of ministers to 8 or 10. Further, theere should be apolitical village councils, composed of persons from the same villges to plan and implement projects that are needed for the village, within the ambit of prevailing rules and regulations. The PCs should fund these councils and facilitate their work. The Pradeshya Sabbas should be abolished. The Municipal and Urban Councils in the cities and towns should be permitted to serve the same function, but on a larger scale. The central government functions- apart from national seurity, national policy and interprovincial affairs, etc. as per the 13th amendment in the provinces should be shrunk to the minimum necessary and should overlap minimally with those of the provincial councils. Mr.Sambanthan’s idea of having 3-5 regions instead of the present nine provinces is good and bodes well. I hope he will expand on this concept further. The theme has to be equal development and propsperity in all provinces/regions. This would be acceptable to all the people in this country and may be attractive to the politicians who enjoy weilding power. They will also become more accountable to the people, who will be able to measure and evaluate their performance. We have to move in small steps over a long time-may be 5-7 more decades- to reach where India is now and take all the people on this walk. All the circumstances you have mentioned in para 1 existed for 67 years till 2014 April. Till then all CMs had apparently resigned themselves to their stymied situation of impotence. For once a strong minded Chief Minister had become a Prime Minister with a mission. Impatient with dead wood coming his way through tradition and routine, he hand picked the best for the top posts, defying conventional approaches. He also selected economists of world renown for advice. Modi had the dynamism to impart life into a deadened system. Financial invigoration of the states together with administrative decontrol will make the states move. Even early signs from inertia to change will be seen only three years from now. It needs to be noted that with all the factors obtaining in India, only April 2015 saw the difference. No Chief Minister or a combination of them were forceful enough to get the reform enacted for financial and administrative devolution together. The 13th Amendment like the 1978 constitution are both unacceptable for any tinkering. The constitution, of which 13th is part cries to be cast aside. Many Indian states made tremendous progress even before Narendran Modi became PM. Tamil Nadu, Maharashtra, Karnataka, Punjab and Gujarat are some examples. With Modi as CM, Gujarat became also a well managed and progressive state. What PM Modi is doing now will make the other states to also progress. More states were created in India over time and within laid down constitutional parameters. No additional powers were granted to the states through constitutional amendments. There was a will to give more leeway to the states through administrative arrangements and financial allocations and these have paved the way for what has happened in India. The congress party losing its grip on the states has also helped to give the states a voice and gain the demanding power. PM Ranil W had said in an interview with N.Ram of Hindu that the 13th amendment provides for more power to the provinces here than the constitution permits in India.This is probably theoretically true. UNfortunately, the 13th amendment has not been implemented in full and optional aspects in it have been applied maliciously. There has been no political will to share power and let the provinces succeed. The 13th amendment was viewed as a give away to the Tamils, under pressure from India! PM Ranil W has also said recently that it will not be possible to go beyond the 13th amendment, even if a new constitution is promulgated. This is the political reality and the ceiling set in granite at present. Only miracles can change this fact. The results of good governance and the full and whole hearted implementation of the 13th amendment are the only tangible realities/ opportunities in our horizon. My fear is that asking for more than we can realistically get, will only create conditions to get less than what we can realistically expect to get. WE are not a rational and ethical nation yet. Political expediency and opportunism yet rule the roost. Let us hope that the NPC will function effectively and efficiently so as to become a role model for other PCs to emulate. As things are CMs are resigning positions to become mere MPs which is a sad reflection on the importance of the position of CM. I wonder what happened to the approval of the Chief Minister’s fund of the NPC which could become a valuable source of revenue? I was one who believed staunchly that Modi at the helm will do wonderful job, but he has not lived to people expectation, though its is hardy period a year and half, but the tangible signs are that India is not moving forward. Modi government may have allocated additional fundsto states, yet the very basic Unitary ( or Constitutional expert call it as Quasi-federal) financial provisions do not allow states to exercise. Because of this, India is not yet attractive avenues for investors. What states in India require more autonomy in exercising financial powers as rightly envisaged by Tamilnadu govt via Rajamannar committee. I agree with this writer Sivathasan. The framers of Indian constitution left it vague as to whether it is Unitary or Federal. However as most writers opined, it is federal in normal times, but unitary during emergency. However, Indian Civil Service and Indian army strengthened the unitary character. and further central planning with the Planning Commission and the series of Five Year plans further weakened the federal nature of the Indian constitution. Now Under Narendra Modi,the abolition of Planning Commission and making real the fiscal devolution by providing more financial autonomy to the states is a welcome news, but how the states are going to use additional financial resources? Are they going to provide more and more welfare hand outs rather than prudently investing in income generating enterprises as they do in Tamil Nadu and other Indian states, only time will tell us. The situation in the Northern Provincial Council is worrisome that not even god can help them? How the Indians is resolving the tribal and other minority issues in the Northeast of India peacefully, without resorting to armed might, with different degrees of autonomy is a lesson for all Sri Lankans to admire and learn! Welfare is disallowed from central grant.Additional funds for capital expenditure to states was mobilised among other means through a drastic cut on central grants for welfare. Yet with unlimited intellectual dishonesty, with pressure on state funds cushioned, state capital vote can be siphoned off. It is commitment for ideals that will make the difference. Engels in his speech at Marx’s funeral said “…The greatest thinker of our age ceased to think”. Even shallow political thought ceased to be for decades among us. Only reactive talk obtains Gossip on political personalities passed for politics. When resources dried up we reached for the Southern catchment, replete with politicians DS to MR. With acme scaled we went to sleep. There is reason to be worrisome. We have to take a lesson from Purananuru -“Theethum nantrum pirar thara vaara”. ‘Evil and good are not of other people’s making’. The substance is, we are the architects of our misfortune. 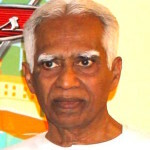 When three of us, one being a leading member of the TULF met Gamini Dissanayake 33 years back, he forthrightly said “The problem with Tamils is that they have ceased to think. The TULF has not thought for over two decades”. We were dumbfounded because the words couldn’t have been truer. This our sad plight! Learning an thinking seems to scare people, because our sytem of schooling at all levels has not cultivated these traits. We learn just to pass an examination and obtain certificates and fame. Learning begins and end then and there. Learning should simulate thinking, otherwise it is no learning at all. Learning should be followed by action. Just think about Mahatma Gandhi! Despite recent research articles questioning even his greatness,he did inspire a nation.and action followed his every thought in personal and public life causing immense misery to his immediate family. But let us continue to engage our Tamil politicians, academics and other intellectuals and intelligentsia on these lines. Thanks. I have recently stopped using the profound word education to describe what we do in our scools and universities. My word of choice now is schooling. We have schools, high schools and glorified higher schools ( we call the latter universities). To respond and to enlighten, the subject is far too deep. What we know is less than a handful of sand – (Auvvaiyar). So I will try at a later date. For the moment I will go to the ‘Bell Curve’. I was able to gather that BC holds for intelligence and education. From a little reading on the occult and also on social awareness and involvement too it was noted that the BC held. All three had approximate low percentages. So need not be disconsolate about concerns only among limited numbers. Little wonder Hitler said that 95% or more do not have critical faculties and for political success one need not address to their reason but play on their emotions. “Germans think with your hearts”, Hitler bellowed. In Ceylon, not the cold logic of NM but the emotional appeal of SWRD worked. what you are referring I believe is the book, “The Bell Curve –Intelligence and class structure in American life” authored by “Richard J.Herrnstein and Charles Murray” written in 1994. The book published 20 years back is still though controversial is relevant.